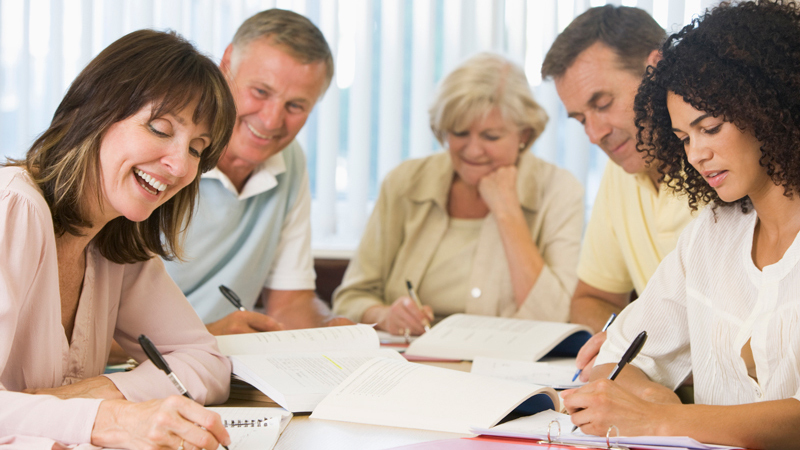 Adults learning are selective, so the English course gives them the selected knowledge and develops their skills on topics which the students are interested in. Adults learning are self-directed, that is why the course it structured and organized in a clear way with easy to understand and use topics. The learning objectives are clear the success criteria is easy to use so the learners know how are they developing. Adults learning also bring years of previous experience and knowledge to the classroom. The intensive English course 40+ gives them a problem-centered approach to learning and a context that has direct application in their lives. They learn and develop English language through the English course content which is relevant to their current problems or situations.